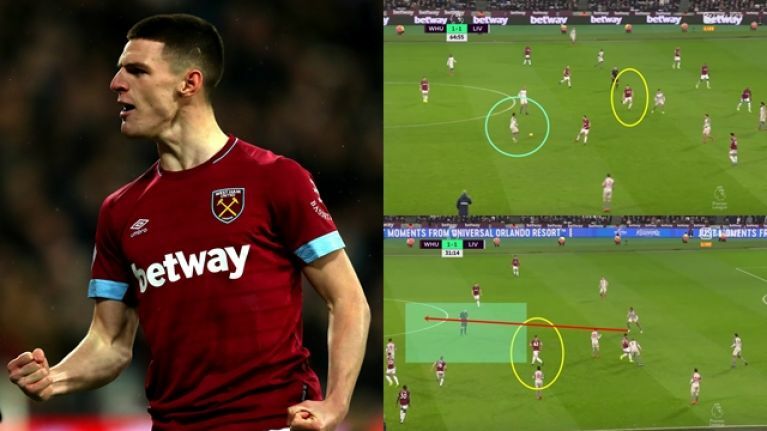 Declan Rice's talent means that regardless of which country he chooses to represent, he's destined for the top. His performance for West Ham United against Liverpool on Monday showed that. Only for the equally excellent Felipe Anderson, Rice would have been named the man of the match in the 1-1 draw at the London Stadium. The midfielder, who only turned 20 last month, made more successful tackles than any other player in the game (8). He recovered the ball more times than anyone else (13) and only Anderson had more interceptions (3). But Rice's impressive performance went beyond these statistics. He was pivotal in helping West Ham stifle the Premier League leaders, particularly in the first half. In this passage of play, he ended a Liverpool attack before it even got going. Naby Keita was driving into midfield with the ball, Rice sensed the danger and got across to cut out his advance into West Ham's half. He halted Keita with his first tackle. The Liverpool midfielder reclaimed the ball but was stopped again by Rice with another well-timed challenge. 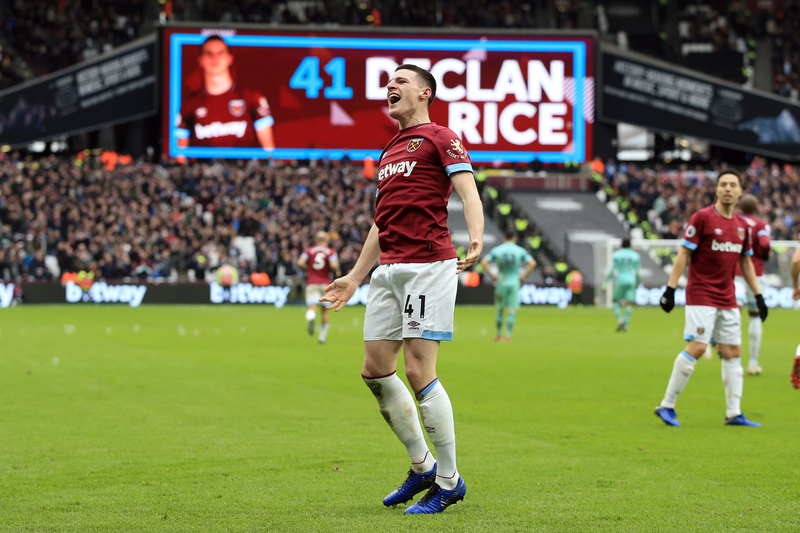 Rice read the game like a midfield veteran, constantly sensing danger and smothering Liverpool attacks before they could develop into a threat for West Ham. In the instance below, he reacted quickly as Joel Matip received the ball. 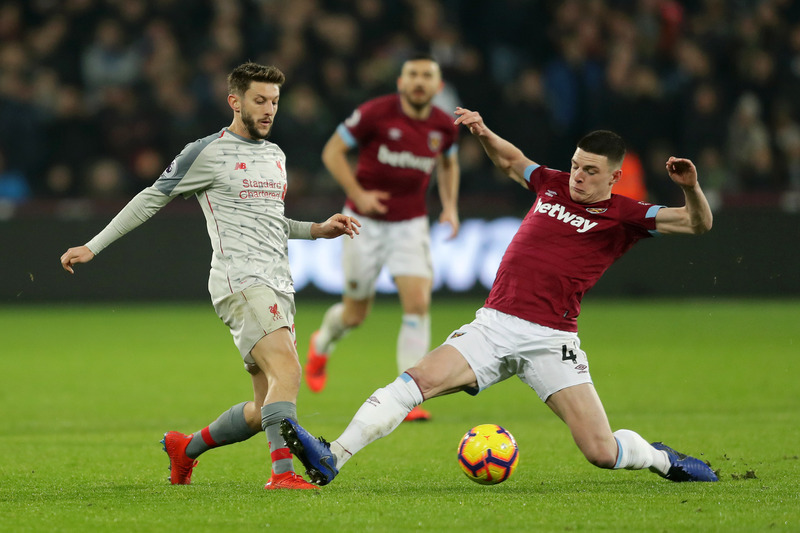 Rather than attempting to close down the Liverpool defender, Rice opted to cover the space vacated in West Ham's midfield. He rushed back, got goal-side of Sadio Mane and prevented him from breaking forward with the ball. The move then broke down. Once again, Rice made the right decision. The example below was probably Rice's most impressive passage of play in the game, summing up his range of talents in one move. Initially covering Roberto Firmino, he broke from his position to capitalise on a heavy touch by Matip and won the ball cleanly - another example of him reading the game excellently and making the correct decision. Rice then drove forward with the ball, skipping past Fabinho, before passing to Michail Antonio. Rice arguably could have played a forward pass into Javier Hernandez rather than laying it off for Antonio. And if there is one area of his game where he can improve, it is his forward passing. However, he's only 20 and spent his career in central defence until this season. His forward passing will improve the more he plays in central midfield. Rice was substituted against Liverpool at half-time on the opening day of the Premier League season, with West Ham trailing 2-0 at Anfield. Six months later, against the same opponents, he was one of the best players on the pitch. He is evidently a fast learner and appears to be improving with every game. When Rice asked not to be included in the Republic of Ireland's squad last September, amid interest from England, the views of Irish football supporters were split down the middle. Some accepted that he was probably right to take some time before deciding his international future. Yes, he had played three times for Ireland, but interest from the country of his birth was bound to complicate the issue. 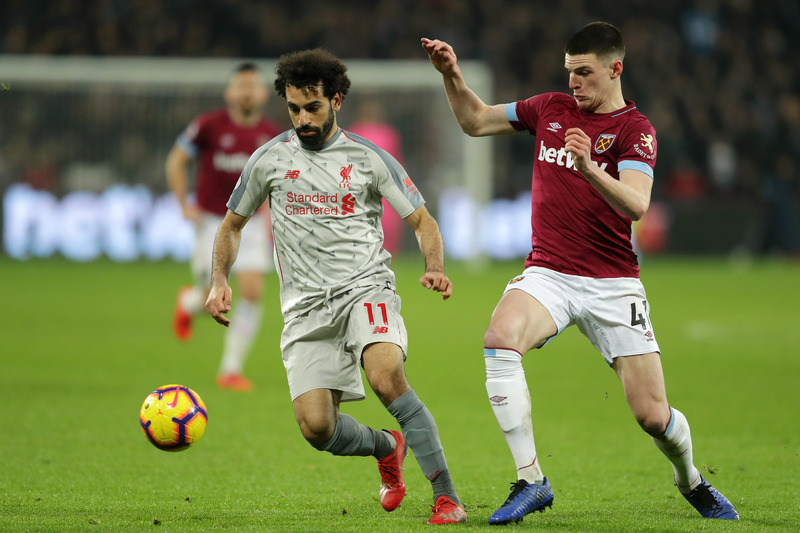 Declan Rice won 8 tackles against Liverpool, twice as many as any other player on the pitch. It was perfectly possible that he felt both Irish and English and he should take some time before making the decision. There were others who weren't so understanding. In their view, Ireland shouldn't even consider Rice for selection again if he needed time to make the decision. Some, ludicrously, argued that he wasn't that good anyway, that the national team didn't need him, and the player would be lucky to win a single cap for England. Of course, that was complete nonsense and has since been proved so. Some argued that Rice could be tempted to play for England because of commercial considerations, as it is more lucrative to be an England international than to represent Ireland. Harry Maguire went from being considered a very good central defender bought by Leicester City for £15m in the summer of 2017, to being valued at £75m after his performances for England at World Cup a year later. Rice's exposure would increase if he played for England, and that would, in turn, increase his market value and the likelihood of getting a transfer to a club competing in the Champions League. So, therefore, the decision about his international future could ultimately be based on his club ambitions. However, that theory has also been debunked. Rice is good enough to reach the top on merit alone. 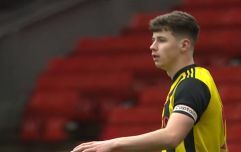 It wouldn't matter if was representing the most insignificant international minnow, Rice's excellence means he destined to play for a team in the Champions League. That was obvious against Liverpool on Monday night. 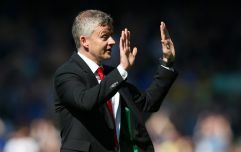 Against the Premier League leaders, he was the best midfielder on the pitch - a staggering feat considering he played in central defence until this season and has only just turned 20. If he continues to progress at this rate, he could be one of the division's top players in his position by the time he is 25. Playing for Ireland wouldn't reduce his exposure and representing England won't significantly aid his club career. Rice has shown this season that his talent and hard work will be the key factors in how his career progresses.